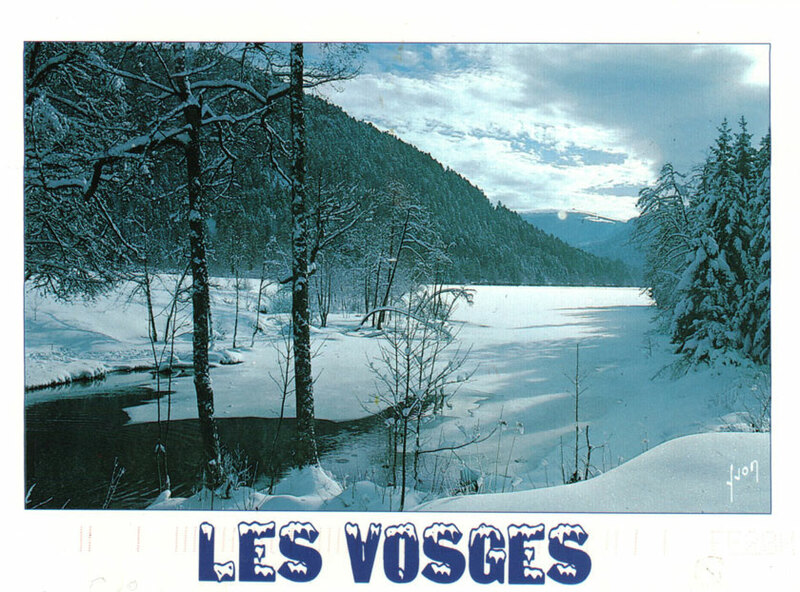 Postcard sent by my friend Marie-Pierre from Les Vosges, a mountain range and popular ski destination in eastern France. Marie-Pierre and I were pen pals for many years; I would practice my French in letters to her, and she would practice her English in letters to me. Highlights of her trip included being on “holidays in the mountains with friends and with [her] parents” and the “very beautiful house and landscapes”.